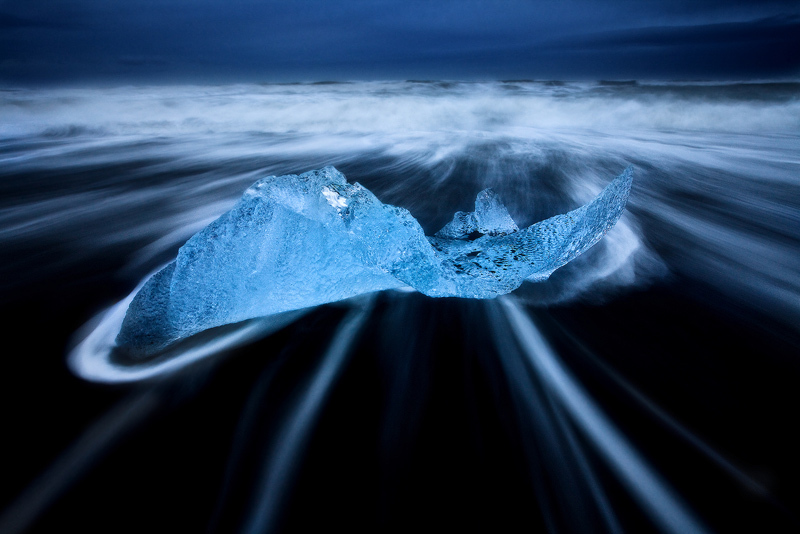 As icebergs calve off Vatnajökull and flow out to sea, many are washed back onto the beach. This stormy morning provided a nice brooding backdrop to display the glow of this ancient ice. This image won the 2011 Landscape Image of the Year for both Nature Photographers Network and Naturescapes.net. Photo © copyright by Paul Marcellini.